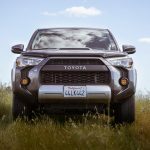 15 Rear Bumpers for the 5th Gen 4Runner - Best rear Bumper? Start Here! 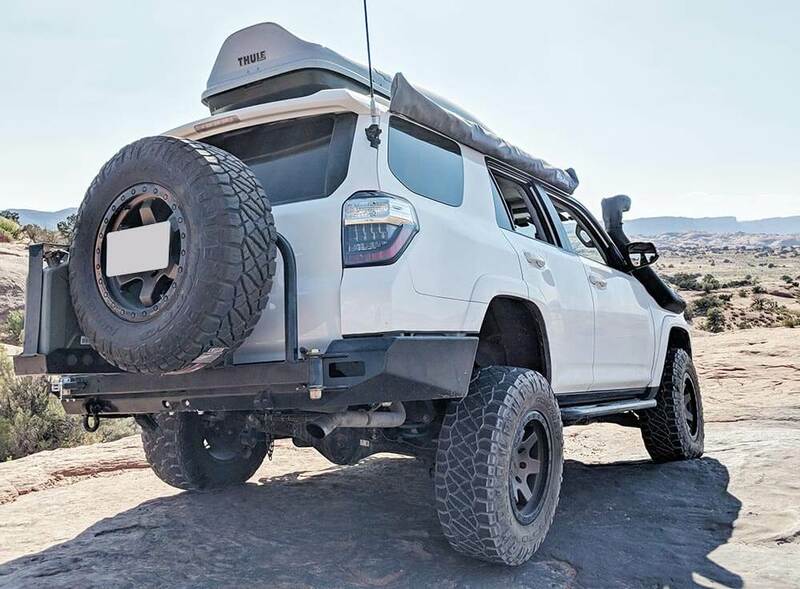 If you are an avid off-roader, overlander, weekend warrior, or someone who is looking to beef up your 4Runner, an aftermarket rear bumper may be for you. This is a follow-up to our previous post on front bumper options. A few pros and cons to help you mentally and financially justify adding a rear bumper. Mounts for fuel cans, traction boards, Hi-Lift Jack, etc. Maybe you only need something to hold a larger tire, and none of the features of a full bumper. If that is the case, then you might only need to look at hitch mount tire carriers like the Wilco Off-Road Hitchgate or the RIGd UltraSwing. These compact swing units have the ability to carry your oversized spare, along with other off-road essentials. All while only occupying your 2″ hitch receiver. 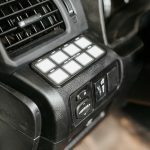 This gives the user flexibility to have it installed when they are on an off-road trip, and stored in the garage for the day to day commute. 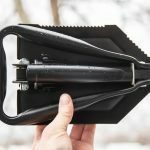 Coming in at around $1000, this is a simple and relatively affordable solution for getting the spare tire out of the stock position under the vehicle. If you are considering a full aftermarket bumper, you are likely looking for a host of added features; better body protection, increased rear ground clearance, spare tire relocation for larger tires, welded recovery points, traction board mounts, fuel can mounts/holders, fold-out camping tables, and more. 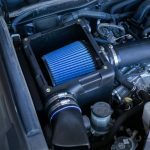 These features will primarily benefit those who use their 4Runners for off-road based adventures and 4-wheeling. If you don’t spend time off-road, upgrading your rear bumper can still offer some benefits. It will help protect you, your family, and your 4Runner in minor collisions better than the stock plastic bumper. To keep things simple and light, you may want to consider a bumper with no tire swing-out offered by some of the fabrication companies listed below. Replacement bumpers do come with a price, both on your upfront cost and the cost-sacrifice moving forward. The added weight will cost you more money in the long run due to extra fuel use and potential weight-related repairs. This is a list of the “most common” rear bumpers. This is not a list from best to worst. It also is not listed in any specific order, although we wanted to feature the tire carrier swing outs at the top. Let’s jump into the specs and information on the top rear bumpers for 5th Gen 4Runner owners. This is not a full rear bumper but it may suit the needs for some of you reading this. If you have oversized tires and are looking for a tire carrier, a hitch mounted swing out may be a good option. 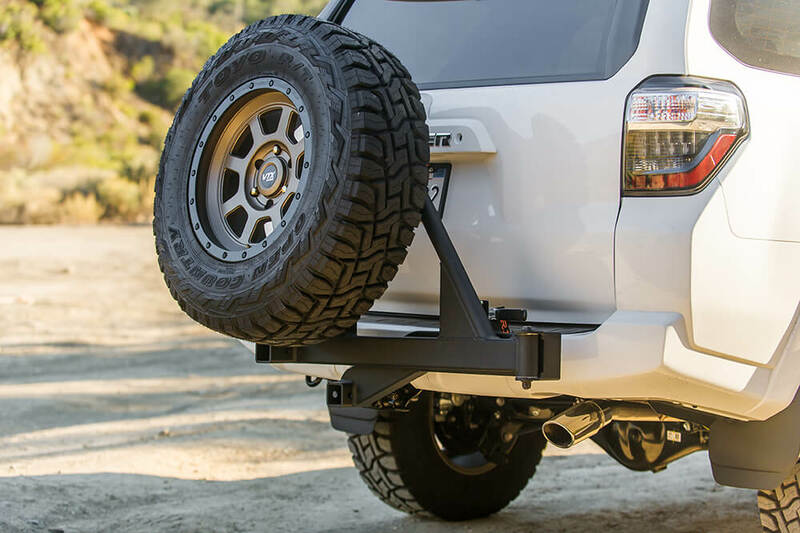 It’s exactly what it sounds like, a tire carrier that mounts into our 4Runner’s 2″ hitch receiver. The UltraSwing was designed specifically around the 4th/5th Gen 4Runner. RIGd literally had 4Runner CAD drawings when deciding on the look and dimensions of the UltraSwing. 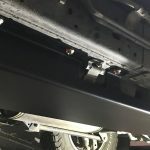 The company started looking into the fabrication of the UltraSwing because they weren’t happy with how the other hitch-mounted carries looked and functioned on the 5th Gens. This was mainly because of how short the hitch is, AND the company wanted to be able to carry bikes and swing them out of the way. And, at the time of their production, nothing else existed that met these priorities. The UltraSwing Hitch Carrier comes with a vertically adjustable wheel plate that accommodates up to a 35″ tire. The tire carrier features dual hitch receivers. One is built in-line (can be used for vehicle recovery or towing) and the other is offset for secondary bike racks, etc. They designed the swing out to support up to 250 pounds of weight meaning you can literally jump up and down on this thing without hurting it. The UltraSwing Hitch Carrier fully clears the 4Runner cargo door when opened. 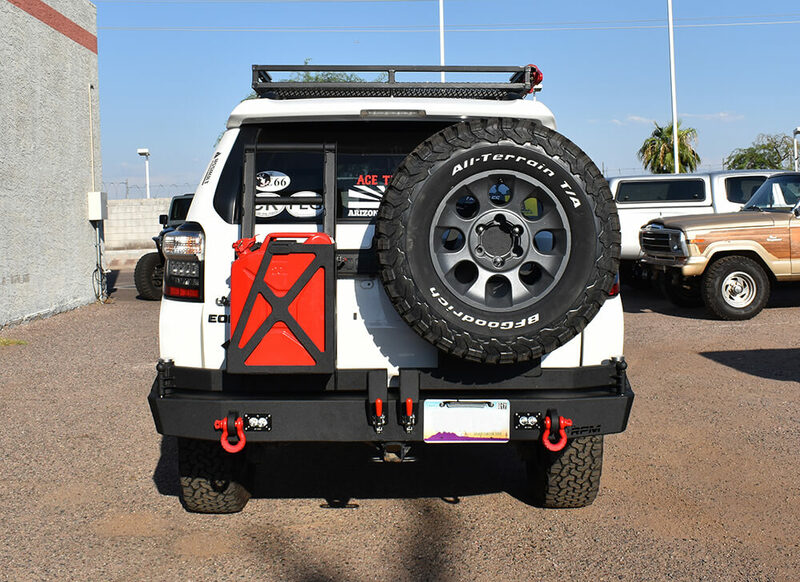 Further, it comes with an integrated license plate relocation mount and other add-ons like the Rago Fabrication’s UltraPlate, Front Runner’s drop-down camp table and their adjustable hitch extension. 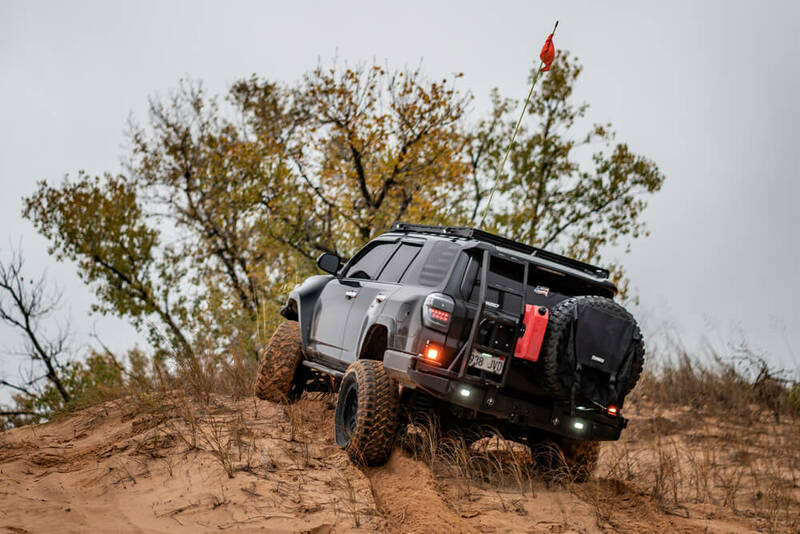 The tire carrier is also designed to carry RotopaX’s fuel/water containers and will clear 4Runner ladders like the Gobi and C4 Fabrication products. What’s different about this Hitch Mounted Carrier? After shooting RIGd a quick email to understand the back story, it’s actually pretty cool what sets them apart. Yes, there were other solid hitch-mounted carrier options out there, but RIGd was the first to make one that swings a tire AND a bike (and they have multiple patents filed around how they accomplished this) and the first to make one designed specifically around a certain vehicle. It’s important to keep in mind that many other hitch carriers are universal which prevents them from sucking up tight against the 4Runner. This hitch carrier was truely made for our 4th and 5th gens guys. So what’s wrong with the UltraSwing? Nothing! It just doesn’t offer protection like a full replacement bumper, but that may be a highlight to some buyers. Another option in the hitch mounted tire swing-out category, and the original company to pioneer this style, Wilco has three different variations of their Hitchgate to match the buyer’s needs. Their basic model is the Hitchgate Solo, which allows for up to a 35″ tire and swing-out maximum weight rating of 150 pounds. It also comes in a high-clearance model, which mounts it 4″ higher than the standard version. The Hitchgate Offset model follows more of a full-width swing-out design. It has a pivot on the passenger side, with the tire being mounted on the driver side. This offset design allows for better vision out the back window than the standard version. The Hitchgate Max is the most heavy-duty version of the lineup. This version center mounts the spare tire like the Solo, but it adds the support of the Offset design to best distribute the weight. It comes with options for different fuel canisters and an over the tire cargo basket for additional cargo. With a swing-out weight rating of 380 pounds, this rack can hold a lot of gear. There are no limits to what years or vehicles it will fit and therefore it sticks out about a foot further away from the vehicle than the UltraSwing. Just so you understand, Wilco is not made specifically for our 4Runner. 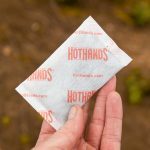 There are significant compromises made when releasing a “universal” product. The main drawback of this universal product (and, I have seen both in person) is that it doesn’t come out as clean as the UltraSwing designed for 4th and 5th Gens. The wedge sticks pretty far back in the receiver which makes tightening inside, well… tight. Shrockworks offers a CNC cut 3/16″ one-piece steel rear bumper. 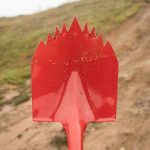 It features 2 recovery points that are 1″ thick and welded front and back for a strong recovery. The bumper itself was 3D CAD designed for a perfect fit. The bumper can be ordered in bare steel but can also be ordered in semi-gloss black powder coating for +$125 and textured for an extra $10. If you’re interested in a custom color you can contact Shrockworks about your order and have it done in any color which is a plus for those wanting to keep everything consistent. For other options, you can choose the base bumper and then add their dual reverse lights added. You can choose halogen light’s installed for +$39.00 or you can get the LED rigid reverse lights added for +$216.00. Another option for the rear bumper is a rear tire swing arm which features an LED license plate light and third brake light. The hinge and latch mechanism for the swing arm is built and designed for no rattle and is lower than other bumper options. It also features an easy-open latch that allows for one-arm operation. Finally, for the swing arm you can choose to add a single or dual RotopaX/jerrycan gas mount (+$99 through $249). Shrockworks does have an integrated Hi-Lift mount on the swingout and the spare tire bracket is adjustable up and down. The last two options are an optional tow hitch for +$50 and two clevis shackles for +$32.00. While the Shrockworks is on the pricey side with all of its options and clean design, it is worth it if you can afford it. 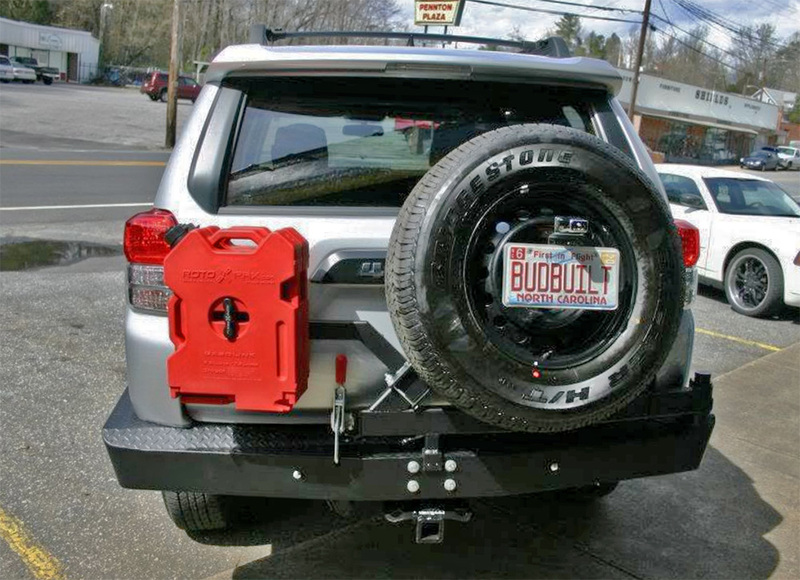 BudBuilt offers a bumper for the early model 5th gens. BudBuilt has a great reputation in the Toyota armor industry. Based on their past offerings, we know it’s a strong bumper. We also know that it only weighs 120 pounds without the swing arm and 135 pounds with the swing arm. To install, there is no welding or drilling required, and it mounts to the frame in 16 different locations using high strength bolts. We primarily build them from steel, yet we can retool to produce an aluminum one. Just will require a custom quote for raw amount of welding our bumpers require. We reinforce ours to an over the top level in the industry for hard rock bashing. With aluminum, we loose some of that abuse it can take because of the material. However, it will surly be beefy. The BudBuilt bumper can be powder coated in flat or semi-gloss black along with any other color you choose and textured as well or left in a sanded ready to paint bare steel. For options, you can choose to add a tire carrier or a tire carrier with gas can carrier. For special features, this bumper includes optional hatch or storage box access, footholds in the sides for climbing onto the roof rack and the top is tread plate for climbing on the bumper as well. Overall this bumper is another solid choice and if you’re willing to paint or powder coat it yourself, it is a great price. 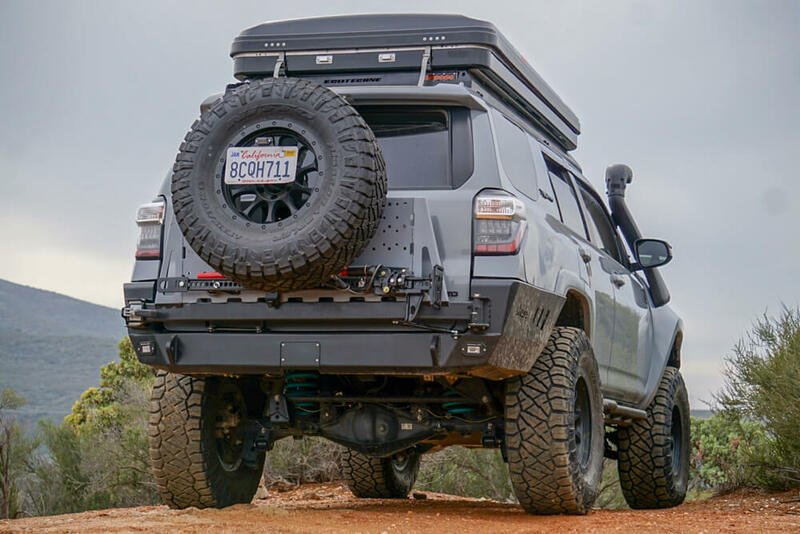 4×4 Labs 5th Gen 4Runner rear bumper offers plenty of protection, higher clearance than any other bumper and has a ton of add-on options. 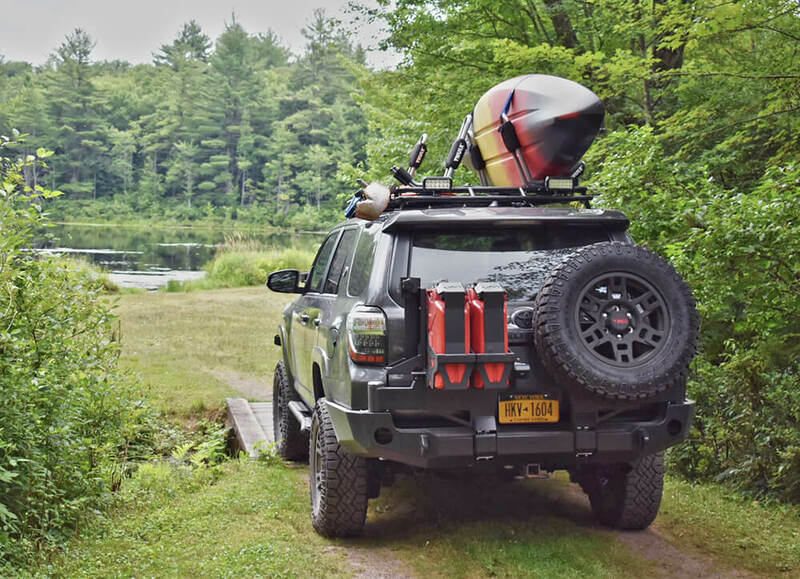 The bumper is an expedition style rear bumper featuring a rear modular swing arm allowing a variety of different arrangements with their bolt on, interchangeable accessories including a gas can holder, roof rack ladder, mountain bike rack and Hi-lift jack mounts. The gas-strut assisted swing out arms make opening the rear hatch with one hand easy, even with the weight of a full-size spare. The main shell is made up of 3/16” cold rolled steel. It features side protection for the body panels while still maintaining the high clearance aspect of the bumper. This side protection extends all the way under the tail lights, fully replacing the plastic stock bumper. It is properly gapped at the body panels to allow for frame/body flex. 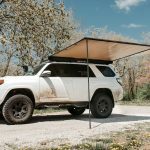 Other protection features include a steel plate style skid that wraps under the body for the most protection under the sides and rear of the 4Runner. This high clearance design does require the removal of the last crossmember on the frame, as the bumper bolts into its place becoming a structural part of the frame. Other features include a built-in towing receiver, two recovery points and Hi-lift mount holes built into the bumper for added jack points. This makes the 4×4 Labs bumper very capable of the most rigorous off-road trails as it was developed by a team who frequents the toughest rock crawling trails California has to offer. 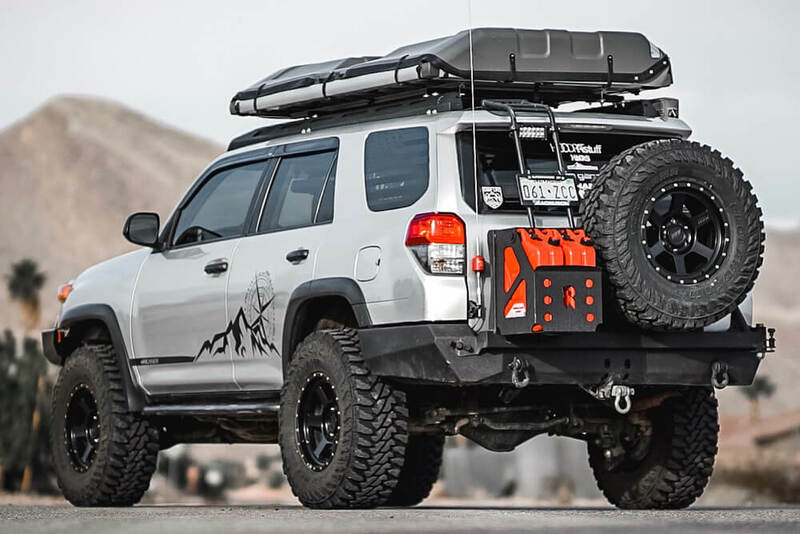 Southern Style Off-Road offers an amazing steel rear bumper for the 5th Gen 4Runner. Weighing in at 225 pounds, the bumper is heavily reinforced from within to make it extremely strong and durable off-road. This rear bumper’s most unique feature is SSOR’s own TrailGator, which is a rear drop down platform tail-gate with universal mounting patterns. It’s what the 4Runner has been missing all along, the benefits of a tailgate with the modularity of a swing-out. It can be set up to hold your RotopaX, jerrycans, fire extinguishers, shovels, medical packs and more. As a tailgate, can be used as a bench seat, rear step for roof access, or even a camp, kitchen / cooking table. For your tire, it has an optional carrier assembly that mounts to the main bumper and swings-out to the passenger side. It includes a license plate and rear camera relocation kit that mounts them both to the center of the wheel. The bumper features two 1000 pound locking latches on each side as well as the lower hinges making a total of 4 mounting points. There are also greasable zerk fittings on each of the 500 pounds hidden ball bearing hinges supporting the swing arm, making maintenance easy. Overall this bumper is great for someone who does a lot of camping/overlanding and needs the utility aspect of the TrailGator, but also the added protection of a steel bumper. CBI offers a great choice for those who want to add protection to their 4Runner without spending a lot. For $1,400 you can get a bare metal base model rear bumper with a built-in tow hitch. That’s a huge improvement over the stock plastic bumper in terms of protection. The steel protection extends along the sides with tubular guards to protect the rear quarter panel. This bumper hangs lower than some of the competition, but thanks to it’s build it won’t fail to protect the back end of the 4Runner. But CBI isn’t a good option just for its price. Their bumpers can get pricey but at the maximum price of $2,785 you get a rear bumper that features a tow hitch, rear swing arm, camp table attachment and telescopic light along with CBI’s very own single or dual jerrycan mount. For construction, these bumpers are made out of 3/16″ steel and are MIG welded. They do come in bare steel if you want to save some money but CBI does offer a satin black smooth finish powder coating. 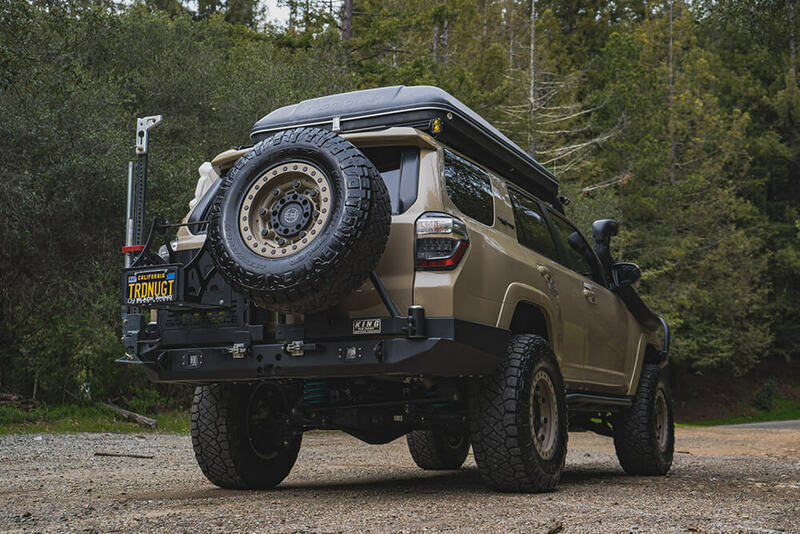 The Hefty Fabworks rear bumper for the 5th Gen 4Runner is the only aluminum high clearance bumper option on the market. Constructed mainly of 1/4″ aluminum, the Hefty Fab bumper is going to be resistant to corrosion and much lighter than most. 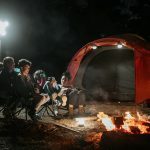 To help with strength, it is designed with steel reinforcements in critical areas, and is more than tough enough to handle mild 4-wheeling adventures. Hefty features a full wrap around design, protecting the body panels from the wheel wells back. This design allows for an additional 6 inches of clearance behind the wheel wells and is helpful when navigating boulders on the trail. For additional clearance at the back, an optional higher hitch receiver is available, allowing an additional 2-1/2 inches of clearance. The top and bottom supported spindles allow for the weight of the swing-outs to not affect the angle of the bumper as a whole when they’re both out. Thanks to the supported design, the swing-outs can handle the additional weight of common accessories despite their aluminum construction. Overall the Hefty Fabworks rear bumper is a great choice for anyone who wants to add the rear protection without all of the weight. RPM Fabrication offers multiple configuration options. RPM Fabrication makes a CNC steel bumper featuring options for a dual swing out arm setup. 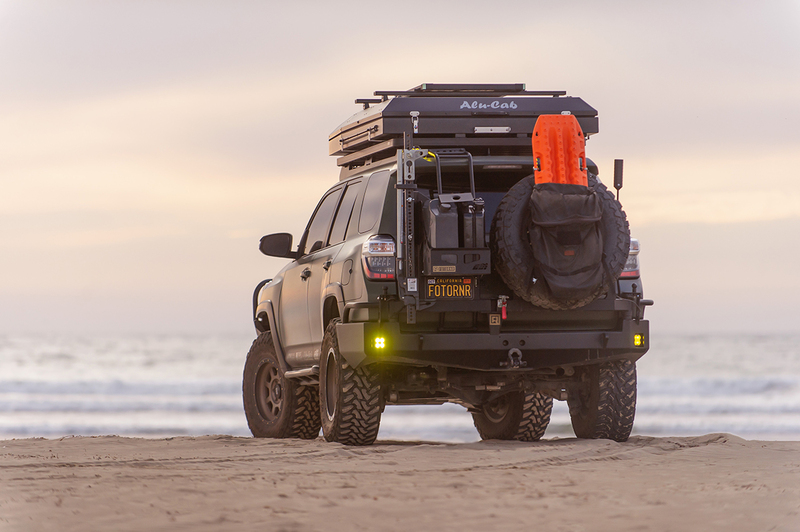 This bumper starts out at $1200 but adding any additional features like their ladder or tire carrier arms and accessory mounts, you’ll soon reach closer to $2,500. But the optional swing outs really expand the capabilities of the bumper, making the extra cost well worth it for those who need more. 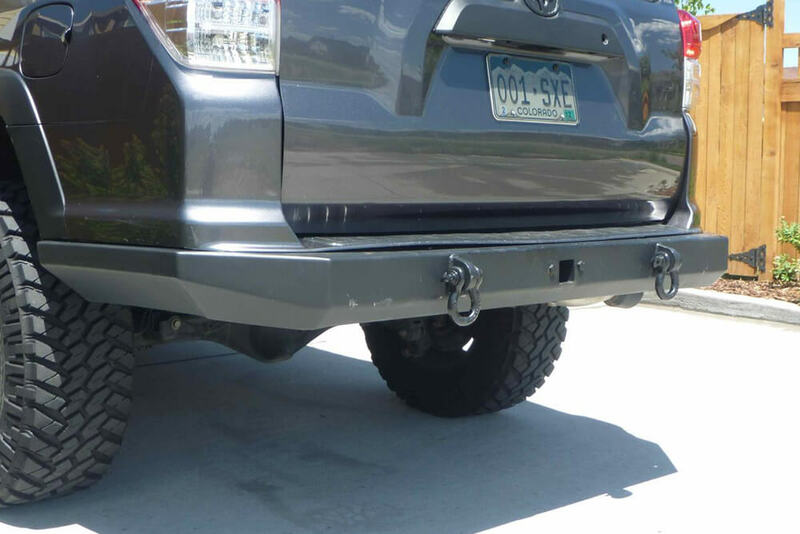 Being a steel bumper, this option will offer a lot of protection for the 4Runner off-road. It weighs in at about 110 pounds by itself and with the tire carrier ladder arms added on it will tip the scales at 210 pounds. Proline 4×4 offers one of the cheapest bumpers available for your 5th Gen 4runner. For the low price of $875, you can get a un-painted steel bumper made of 3/16″ and 1/4″ cold rolled steel plate and 2″× 2″ square steel tube for the built in hitch receiver. This alone would be a good option for many owners, both in the off-road and on-road world. This bumper has most mainstream add-ons available along with optional powder coating. On the bumper, you can choose to add Rigid or Rough Country rear facing lights to the bumper. On the swing-outs you can add a tire carrier, a jerry can holder or an optional front-runner drop down table on the driver side. 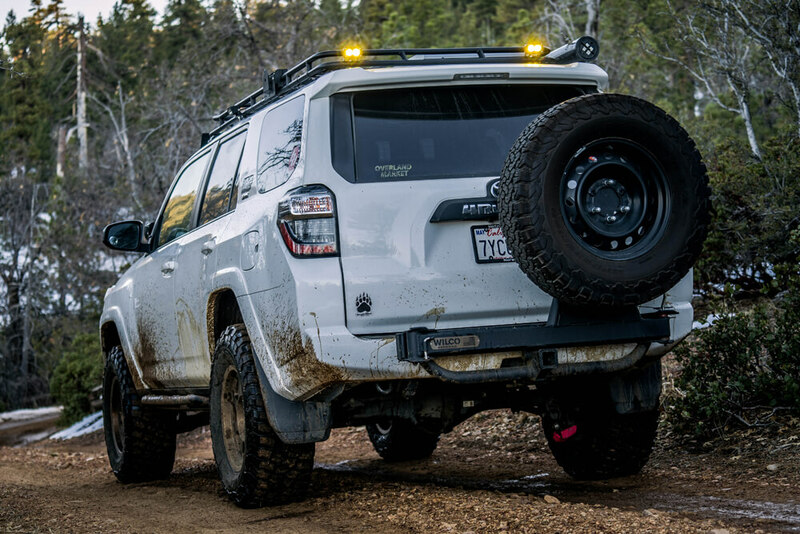 The proline 4×4 rear bumper is by far the most cost-effective bumper for your 4Runner. For right around $1000, you can add a powder coated rear steel bumper that will add protection and additional clearance. Expedition one offers three rear bumpers for your 5th Gen 4Runners in their Trail Series. The first option does not include a swing arm. Starting at $1,100 the base model is a great choice for someone who just wants the additional protection without all of the add-on features. It still includes recovery points, and cut outs for additional lighting. The base model, like all of the Expedition One bumpers, is made up of 3/16″ and 1/4″ steel for the inner structure and a 3/16″ thick outer steel skin. The base bumper weighs a hefty 175 pounds making this a heavy bumper considering it does not have the swing arm. The other options from Expedition One are the dual and single swing-arm versions. Structurally the main portion of the bumper is identical to the base bumper, with the addition of either one or two heavy-duty spindles along with their proprietary latches. 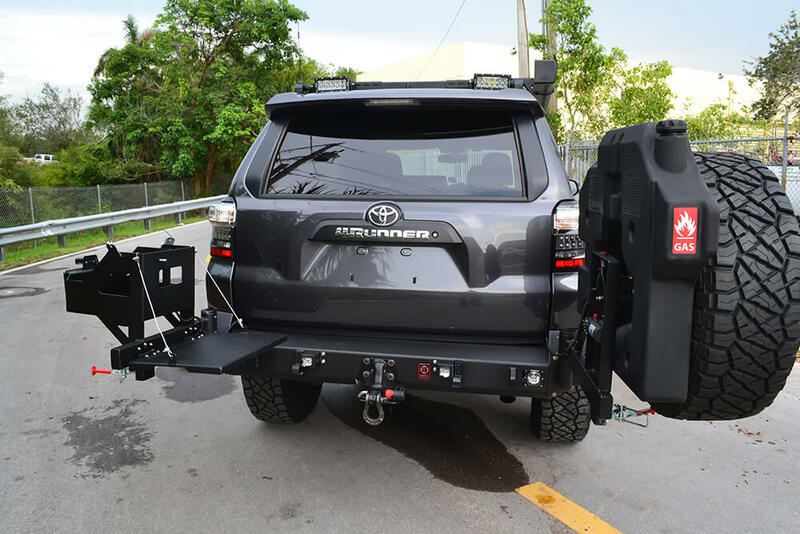 It includes the options of a rearview camera mount/license plate bracket, expedition one ladder, tilt adjustable tire mount, jerry can mount “1 or 2 can option ” and latch, nato can mount system, and finally your choice of reverse lights. 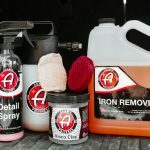 All of the add-ons also come with the option of bare steel or powder-coated to match. Fully kitted, the dual swing-out option weighs in at 250 pounds. And with its “smoothed” design, it really matches the design of the 4Runner well, making it look less bulky than other bumper options. For someone who wants to keep things looking as stock as possible with a lot of additional capability and protection, this is one serious bumper to consider. C4 is one of the biggest players in the Toyota armor game. With its build quality and additional options this bumper is on the higher end of offerings. The C4 bumper can ship in a few different models from a bare bumper to one with all the bells and whistles. 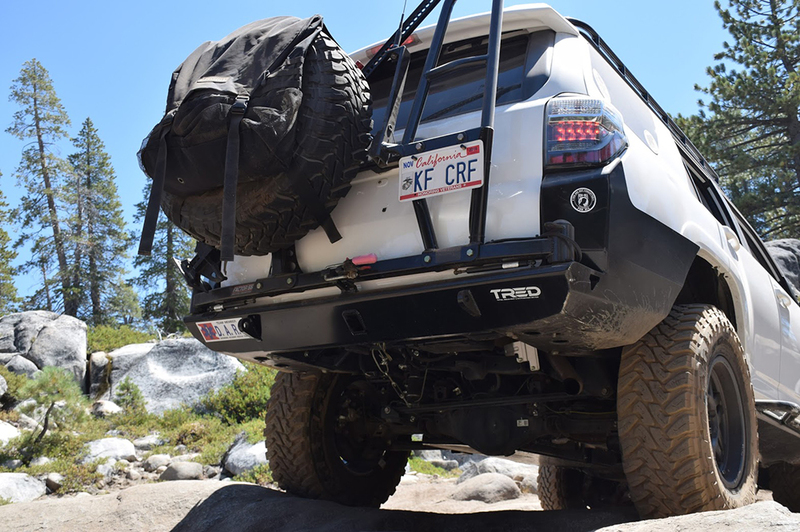 Compared to most other fabrication companies, C4 may have the most well-thought out and configurable options for a 4Runner rear bumper. The 2010+ overland series rear bumper from C4 is only available in steel (not aluminum) and ships bare with no powder coating options available. They use various thicknesses of steel to maximize weight to strength ratios, while keeping it torsionally stiff. This helps the bumper resist twisting when the swing-arms are deployed. The bare bumper model weighs in at 160 pounds, while its beefier swing-out brother comes in at 235 pounds. With multiple swing arm options, you configure many options including a Hi-Lift mount, factory camera relocation kit (including wiring), gas can/jerry can options, reverse light cutouts and more. With everything from the license plate mount and the bolt-on receiver hitch, to the camp table included on every swing out, the C4 may have it all. The bumper has holes for CB antenna mounts, zip tie tabs and relief cuts to make wiring up accessories easier. C4s attention to detail goes a long way with this bumper. Relentless Fabrication’s rear bumper offering is simple, but strong and well designed. They are CNC cut and hand welded with a solid 3/16″ steel outer shell, with 1/4″ mounting plates and solid 3/4″ thick thru-welded recovery points. Approximate weight is 140 pounds for the base bumper and the swing out will be closer to 200 pounds, not including any accessories. Relentless doesn’t have all the bells and whistles like other bumpers but they do offer a sturdy swing-out. Their swing out is a single, full-width swing out option only. It can come mounted with either a Jerry can holder (formed from 14 gauge steel) or a RotopaX mount. On the inside, it comes with a drop down camping table to add usable space to the backside of the 4Runner. With a “pull to release” style latch, the swing-out is very simple to open. Their spindle is dual shear mounted and greasable through a zerk fitting. Default compatibility on tires is up to 35″ on a 4.5″ backspace wheel. Even though the bumper does not come with creature comfort additions like a backup camera kit , you know this bumper is going to be tough as nails and will perform where needed when the trail gets tough. Brute Force Fabrication has in the past made rear bumpers for the 5th Gen 4Runner, however they do not list them as a current product on their website. After speaking with the owner, they do still make them and he is providing specifications for us to include! 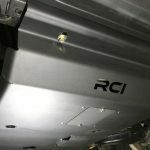 This article will be updated ASAP to include information on this bumper. Brute Force Fabrication specializes in a wide variety of off-road armor for many Toyota platforms. 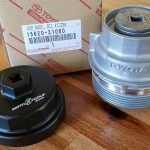 They built parts for our 4Runner, Tacomas, Tundras, and other common platforms. If you are in the market rear bumper or high clearance rear bumper, with or without a swing out tire carrier, Brute Force Fabrication can likely help. Located in central CA (Clovis, CA), they are not far from both Northern and Southern California areas. Just like we mentioned in the 5th Gen 4Runner front bumper article, custom bumpers can be something for you to consider as well. There are many shops out there that can make you bumpers cheaper than brand name bumpers, retaining high fabrication standards. Pick your shop wisely though because custom built projects will require a reputable fabrication shop to really follow through with a finished product. The biggest advantage of a custom built bumper is that it will be fully built to your exact needs and specifications. But this will also require either you or the fabricator to know how to appropriately design your custom layout. Another option to customize your bumper or swing-out is to purchase a bumper through a company of choice, then take it to a fabrication shop to have it modified to your needs. This gives the structural integrity of the originally designed bumper, with a custom twist for your personal setup. Which Bumper is for you? Every one of these has benefits depending on what you’re looking for. 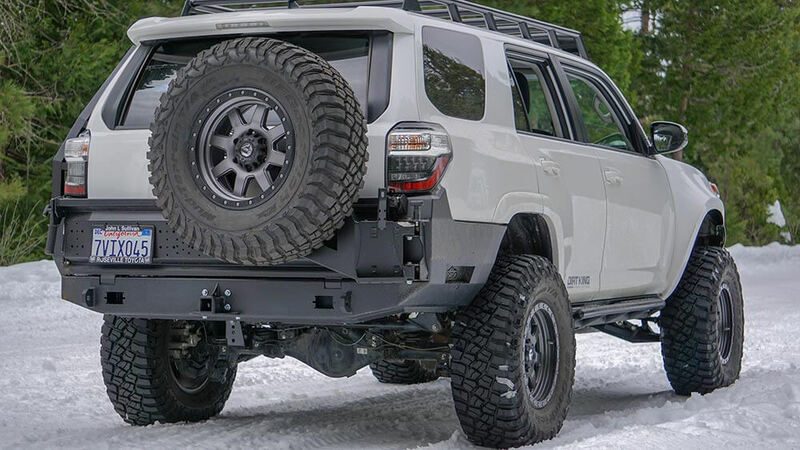 The bumper you choose will be based on the features that you need and the ways that you use your 4Runner. Off-road style, storage needs, and camping needs will all play into the decision. There is never one best option for everyone because the best rear bumper is subject to YOU and your needs. We hope that this article allowed you to see the options available and how they differ from each other to help you research for your build. What rear bumper did you choose? What do you like or dislike about it? We want to know! Question or Comments? Leave them below! Max Sheehan // A Bay Area native, Max has always had an eye for the outdoors and the vehicles that get you there. In recent years he has spent weekends exploring the best that the west coast has to offer in his 4Runner covering many miles off the beaten path and he enjoys every minute of it. SSO rear bumper is next on my list! coupon for $100 off on SSO orders above $598.